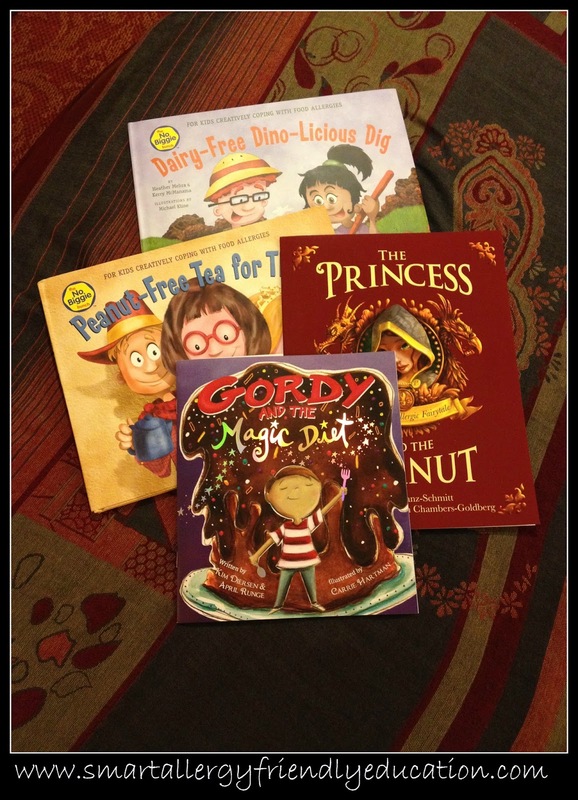 Looking for children's books focusing on food allergies and/or dietary restrictions for your pre-school or early elementary aged audiences? The following are some suggestions I turn to regularly when presenting in schools. I would consider them to be MUST HAVE books to add to your personal or school libraries. No Biggie Bunch - This creatively written series from Heather Mehra and Kerry McManama is my favorite for early elementary aged school children. 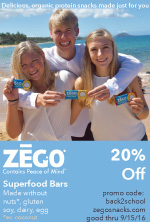 Join Greta, Scotty, Paige, Davis, Natalie and Eliot as they show how they maintain a positive approach to living with food allergies with their 'NO BIGGIE' attitude. 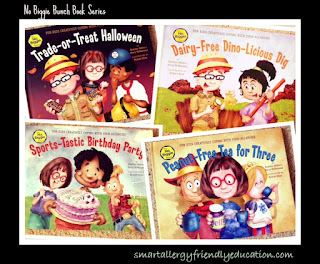 I love the fact that NOT all of the main characters have food allergies, illustrating how no matter what your challenges are, a great circle of friends can be your kids' greatest support. 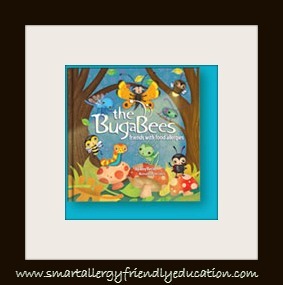 the BugaBees and the BugyBops - Lyrically written and brightly illustrated, this is one of my FAVORITES for pre-school and early elementary aged children. 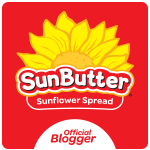 It's a fun read and touches on bugs who manage the top 8 allergens. Written by Amy Recob. 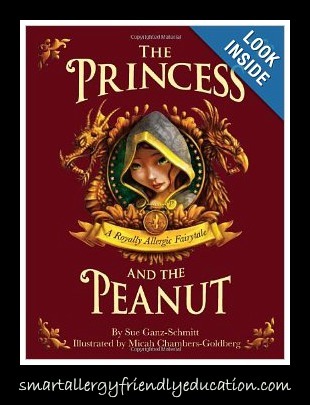 The Princess and the Peanut - A classic fairytale with a food allergy twist! This lighthearted take on a popular children's story makes a possible scary experience easy for children to understand. The illustrations alone keep the children's attention so they want to read it again and again. Written by Sue Ganz-Schmitt and illustrated by Micah Chambers-Goldberg. Gordy and the Magic Diet - This cleverly written story from Kim Diersen and April Runge shares how young Gordy learns that by staying on his 'Magic Diet', he can keep the 'Monster' inside his stomach far away. 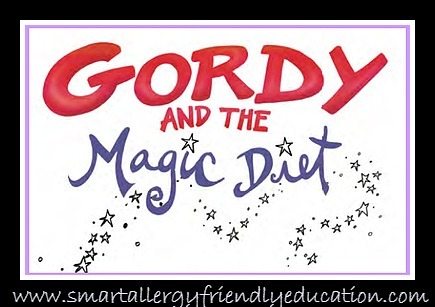 Adorably illustrated by Carrie Hartman, this story encourages other children living with restrictive diets to know they are NOT alone.